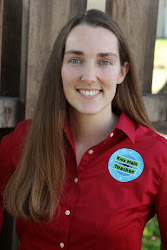 Kids Math Teacher: Kickstarter Book Baby-- 1st Trimester, day 2... Here come the monkeys! Kickstarter Book Baby-- 1st Trimester, day 2... Here come the monkeys! Okay, hopefully the post title made you intrigued... It is day two of my Kickstarter but I had made some interesting math connections with it. 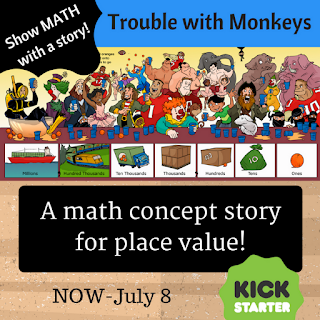 For example, my campaign for Trouble with Monkeys: a math concept story of place value runs for 33 days in total, so I decided to to divide it up into trimesters with 11 days each. So, in order to reach the goal of $12,000 to fund the Kickstarter I will need to raise about 3.33% each day. Please check out the Kickstarter page, see if you want to pledge anything, but please remember that if we don't hit the goal nobody will be charged and we can't make the book since I won't have enough funds to pay the illustrator and printer. Let's make the book a reality!